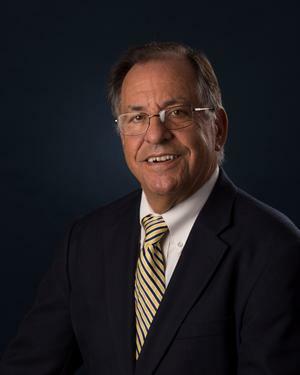 John J. Glasgow has been in the Financial Services Industry since 1975 holding Life and Health Insurance licenses in California, Oregon, Washington, and Arkansas. He holds FINRA licenses Series 7, 63 and 65. John earned a bachelor of Science in Business Economics from the University of San Francisco in 1972. John started his sales career as a Sales Representative for Texaco. From there he worked as a District Manager for Foremost Insurance before joining the "Fast Track Managers" program with Pacific Mutual in Sacramento. John was promoted to Agency Manger for the Portland, Oregon career agency in 1981. In 1988, John was Assistant VP for Fidelity Union Life, helping to build General Agencies along the west coast. John moved back to Sacramento in 1989 to be Agency Manger for Assurity Life. In 2002 his agency became a National Marketing Organization which he holds today. In 2007, John joined Highland Capital Brokerage serving as VP for Northern California. In 2012, having maintained his Assurity contract, he returned and continues to build his company, Mainstay Financial, in association with Assurity Life. In 2015, John partnered with Capstone Financial, transferring his FINRA registration to Ameritas Investment Corporation. Over the years, John has won numerous Agency, Company, and Industry awards. John takes pride for having served in the US Army Security Agency during the Vietnam War and earning the rank of Sergeant First Class. In addition to service medals, John was awarded the Army Commendation Medal in 1969. John is a Life member of the Veterans of Foreign Wars. In 2001, John was awarded the Congressional Medal of Distinction by the NRCC. John is a Third-Degree Knight with the Knights of Columbus and has served on several committees and boards at St. John the Evangelist Catholic Church and School. John and his wife Mary have two sons and have made Citrus Heights their home since 1990. John has a saying he lives by: "Integrity is doing the right thing, even when no one is looking."